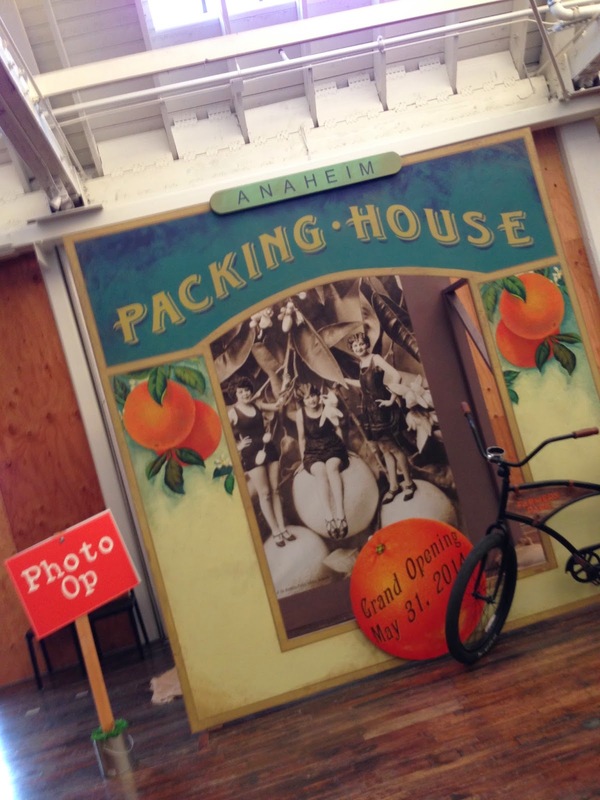 The Anaheim Packing House has been only been open for a month and it has already made a splash in the OC. When I first tried to describe the place to people, all I could come up with was "a giant, fancy food court." Whoever thought of this concept really nailed the growing artsy-fartsy culture of food enthusiasts. So I guess this building has been built since 1919, but has recently been restored to what it is today. You can be sure not to expect any typical food court chain restaurants, though. 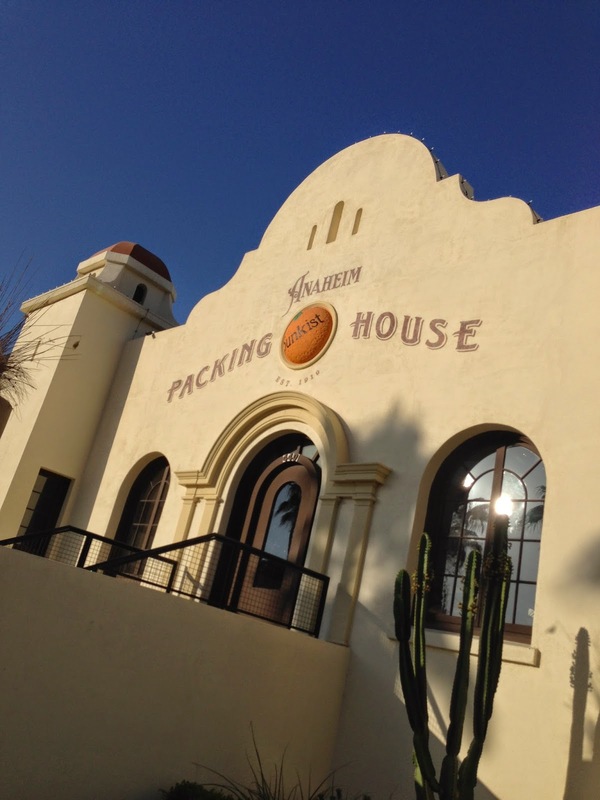 The Packing House boasts 20+ merchants that provides a selection of authentic food and drink varieties. There are a couple vendors still in the process of being developed as well. Now on to my food focus: the two ice cream shops that have made their home in the Packing House. 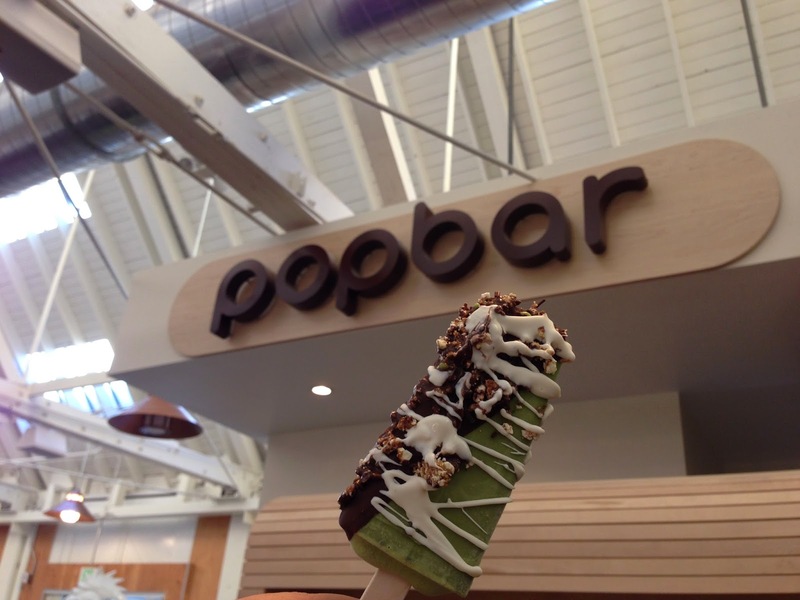 "A green tea gelato bar partially dipped dark chocolate, drizzled with white chocolate, and embellished with hazelnut and caramel popcorn bits." There are a bunch of add ons you can choose from...whether gelato or sorbetto, pistachio or hazelnut...the possibilities are pretty much in your taste bud's favor. I have to mention that there is one location in New York City and Mexico, two in Canada....and like FOUR locations in Jakarta, Indonesia!!! That's my birthplace, so how cool righttt. No? Sundaes, shakes, and multiple scoops of ice cream. You know the drill! 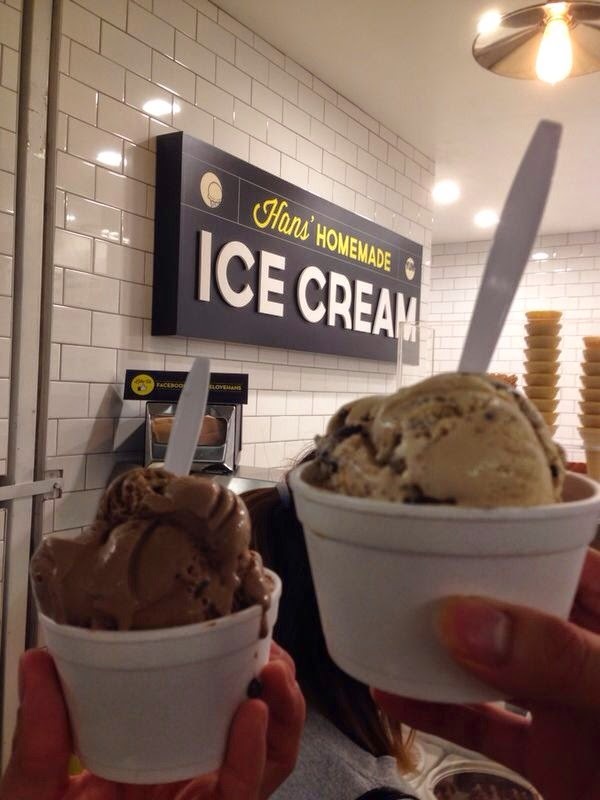 It's that old fashioned ice cream fix over here at Hans'. 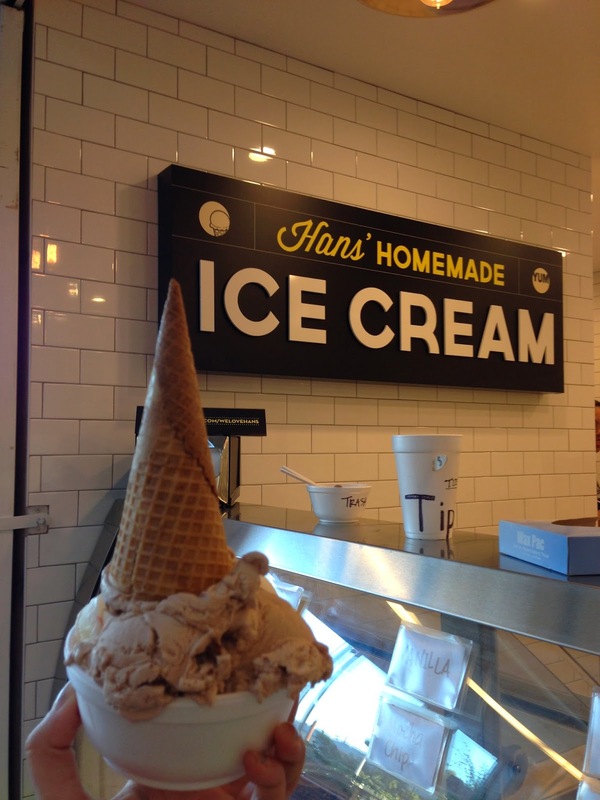 With all your favorite flavors, ice cream lovers will get their money's worth with the quality ingredients Hans uses to create each small batch. Notable flavors offered are Rum Raisin, Nutella, and Blueberry Cheesecake. Little tidbits: Add a sugar cone to your cup at no cost! The scoop on the left is a single serving, so you can be sure Hans' provides a very generous serving. 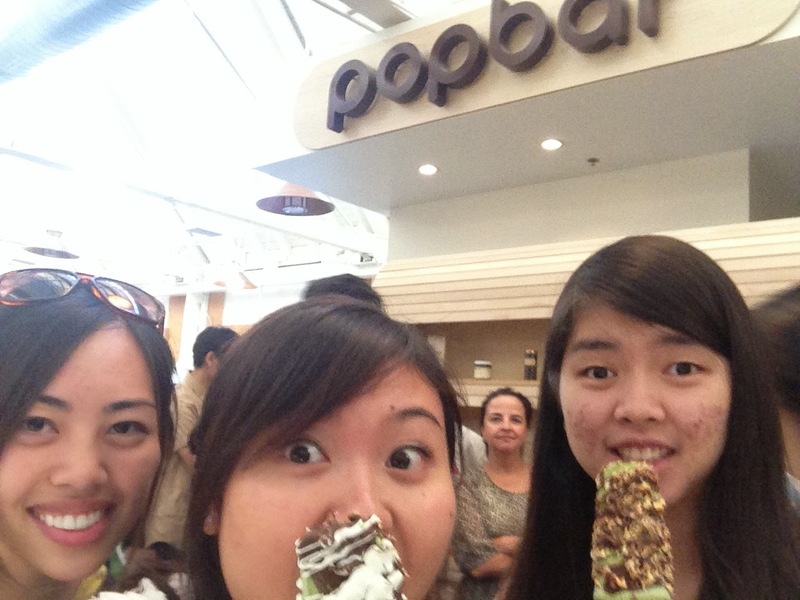 I ate this ice cream while waiting in line for Popbar. Then, I proceeded to eat a Popbar ice pop directly after. Is your mouth watering? I hope so because I think I might go again real soon and I will need some help trying more flavors. Not to mention, you should really be careful not to eat too much ice cream in one sitting especially if you haven't had dinner yet. Parents were right to tell you not to spoil your appetite with dessert. Thereafter, my stomach was pretty weird during dinner, and I ended up only eating a couple stuffed mushrooms at Cheesecake Factory that night. You can take photos here, shamelessly!